At least 1,500 residents have been displaced in Keta and Ketu South in the Volta Region in what is the latest tidal waves that have hit the region. Over 242 houses were submerged and properties destroyed in the latest incident as residents wail and call for government's intervention. Apart from their submerged residences, their livelihoods have also been affected with over ten boats and nets completely destroyed. Joy News' Volta Region correspondent Ivy Setordzie reported from Blekusu in the Volta Region the waves swept through the community around 6:00am, Sunday. She said a good number of the residents there have been left homeless with women and children worst affected. The residents are asking to be relocated as some of them have already taken refuge in homes of family members living in other communities. The Regional National Disaster Management Organization (NADMO) Coordinator has been to the scene with the promise to provide relief items for the affected residents. He said they are currently doing impact assessment to know how each family has been affected in order to know what to provide and ameliorate the impact of the disaster. Ivy Setordzie also reported the Regional Minister Dr Archibald Letsa is on his way to the affected communities to see at first hand the impact of the disaster. Some angry residents have mounted road blocks in protest over what they say is the lip service in addressing their grievances. The MCE of the area, Elliot Edem Agbenorwu has assured the residents the problem will given the needed attention. 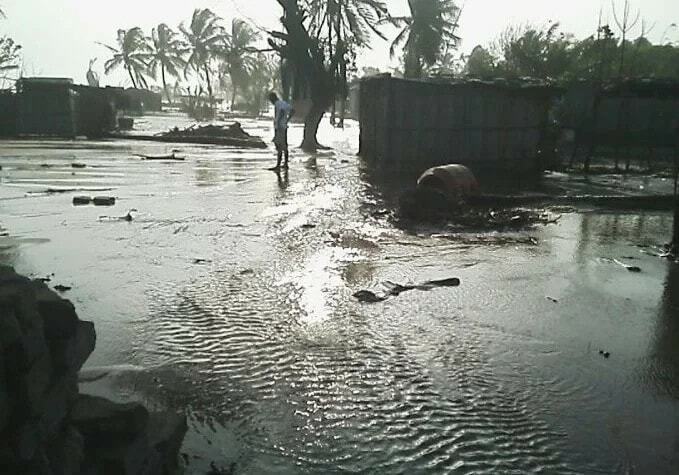 This is not the first time, the Volta Region has been plagued by tidal waves. In April 2016, the Volta Region was ravaged by the waves with communities like Fuveme, Dzita, Srogboe, Anyanui and Whuti badly affected. The promise by NADMO to resettle the affected victims is yet to be fulfilled. It is hoped with the latest incident a more lasting solution will be found for what appears to be an unending disaster.